In appreciation for all that she is doing, I wanted to give Melina some other little goodies for being my convention buddy. 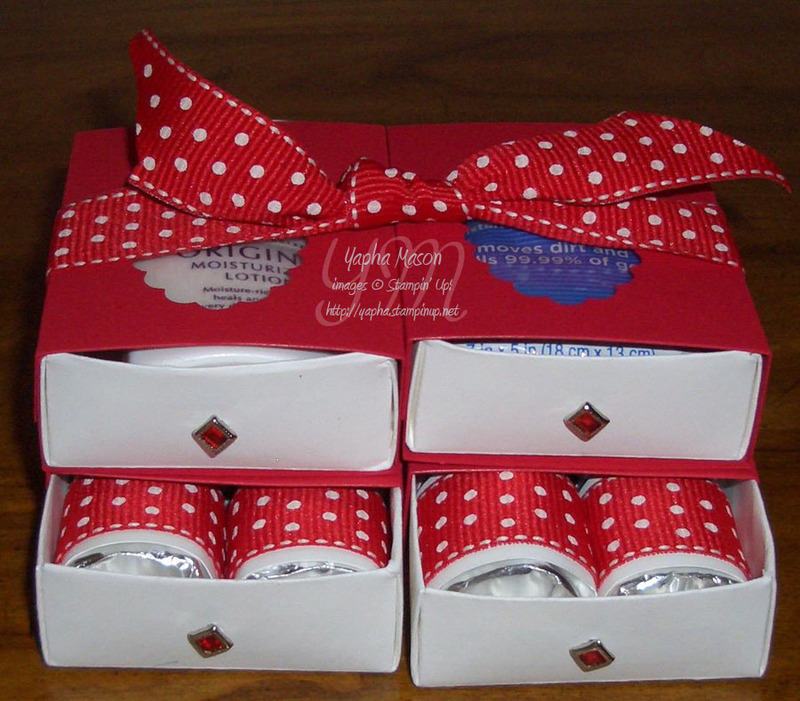 And what better way to package these than in little matchboxes? And I thought that some lotion and Purell wipes might come in handy as well. I used the scallop oval punch to make a hole in the top of each box, and lined it with a Window Sheet so that it is easy to see what is inside. I put these all together in a cute little matchbox dresser, but I attached the boxes with Dotto Repositionable Adhesive, in case Melina wanted to use each one separately. 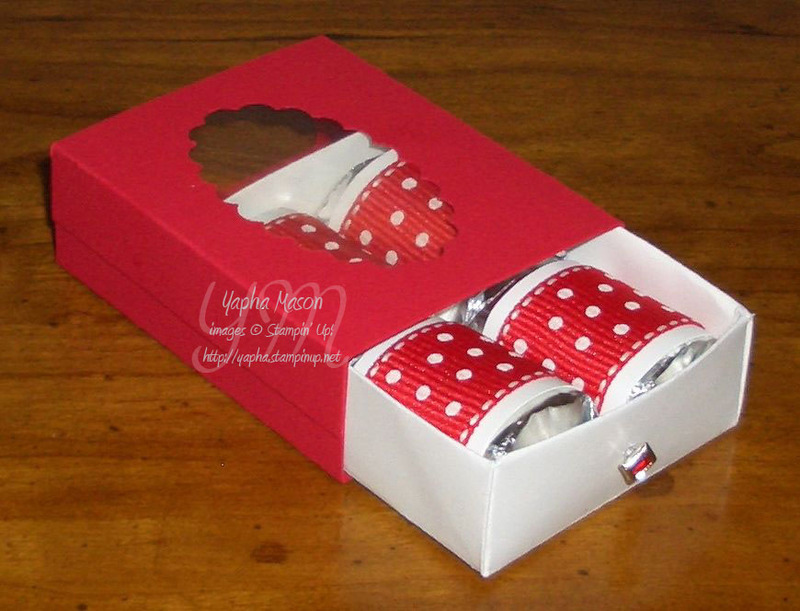 Each drawer has a square red rhinestone brad as a handle, and I tied the whole package up with more of the Real Red Polka Dot Grosgrain Ribbon. I hope Melina has as much fun receiving this as I did making it! Thanks again for being my convention buddy! You’re killing me with these adorable matchboxes!